A guide for using prayer beads and prayers to be used throughout the year. The use of prayer beads, which has a long history in practical spirituality, is now becoming more widespread among Protestants. Doerr and Owens here show readers how to use what have become known as Anglican or Christian prayer beads. 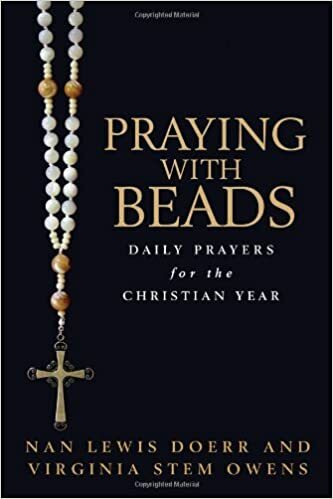 Readers can then use the basic prayer structure provided by the beads to pray their way through each day - morning, noon, and night - and through the church year. These prayers - a thoughtfully chosen combination of quotations from Scripture and gleanings from the Book of Common Prayer - can be enhanced and enriched by the mindful and meditative practice of using beads. Doerr and Owens encourage readers to use beads as "something to hang onto, a lifeline to the Presence that lies, often hidden or forgotten, at the center of our lives." Praying with beads, as outlined and embodied in this little book, has the potential to transform one's prayer life. Copyright 2014 Doerrworks. All rights reserved.